Heart Xrays are presented here in two views. What are X-rays of the Heart? An X-ray of the heart can be seen during a chest X-ray. X-rays are used for a multitude of reasons. A physician may order an X-ray to check for certain cancers in different parts of the body by detecting abnormal tumors, growths or lumps. A heart X-ray is used to view the area of the body where a patient is experiencing pain, swelling, or other abnormalities that require an internal view of the organs. The X-ray can help a physician find a cause for the problems occurring. 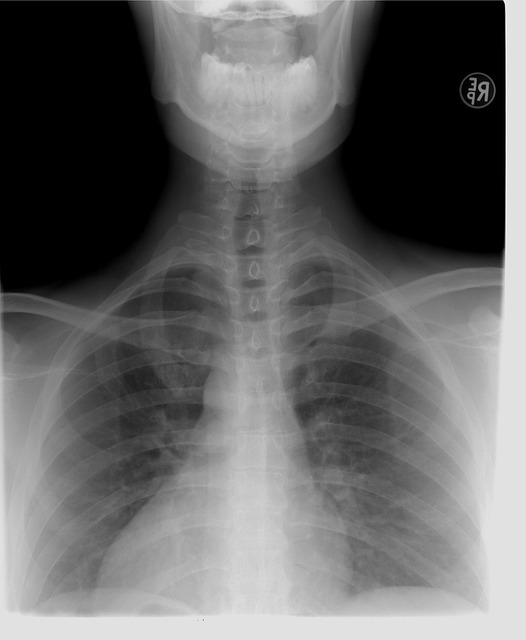 X-rays can be used to diagnose a disease, monitor the progression of the disease, determine a treatment plan, and see the effect of a treatment plan. Physicians use X-rays to locate foreign objects within the body and to guide them in setting broken bones. A heart X-ray can detect an enlarged heart or other changes in the size and shape of the heart, which is a sign of congestive heart failure. The X-ray can show changes or problems in the lungs that stem from heart problems. An X-ray of the heart can show fluid in the lungs, a sign of congestive heart failure. Heart X-rays can show heart valve problems. ABOVE: X-ray of chest and heart. 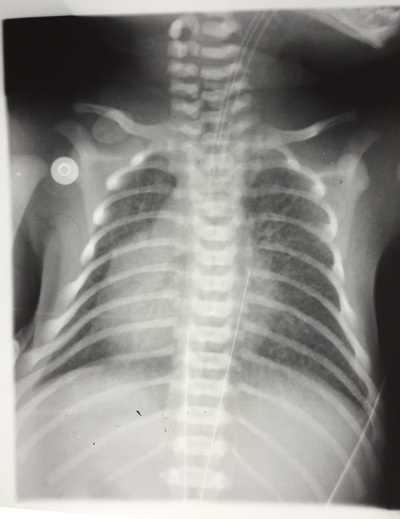 ABOVE: X-ray of infant's chest including heart, with congenital heart disease.